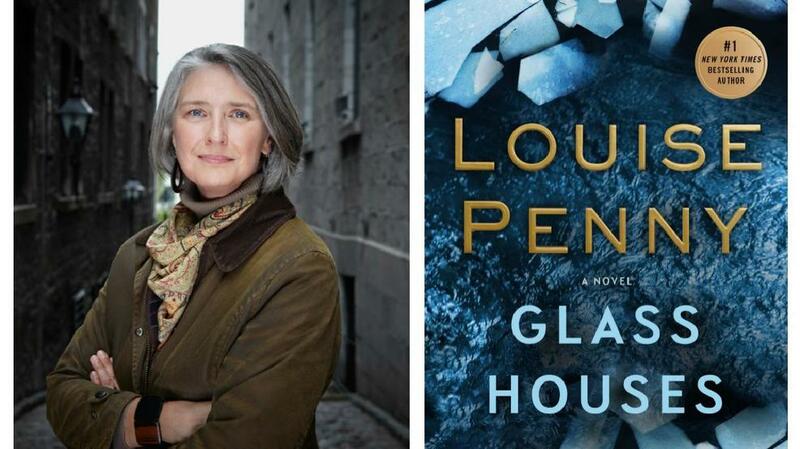 This past October, our book of the month was 'Glass Houses', the 13th book in Louise Penny's Inspector Armand Gamache popular mystery series. We were lucky enough to actually sit down and talk to the talented writer when she stopped by Seattle for a University Book Store event. Seattle Refined: Can you give us a summary of what this book is about? Louise Penny: They’re murder mysteries, but they’re not really about murder. The murder is the jumping off point. Each book has a theme. And, the theme of this book is really the conscience, and judgement. 'Glass Houses', judging others. And we are all in turn judged - the folly of judgement. It’s so difficult to talk about your books in a good way! You peel the onion like nobody I know. Just when any of us thinks we know what’s going to happen, we don’t. And it makes it difficult to talk about with someone else. Do you do that on purpose? You’re absolutely right. I think most crime novels are difficult to talk about without giving away who’s the victim, who did it and whatnot. I appreciate you’re treading lightly on that. What I’d like to talk about are the themes, the conscience. I’m happy to talk about that. But, I’m always aware of spoilers and not giving too much away. What got you to conscience, as a theme? Well, I think it’s an age where a lot of us are reflecting on conscience and what drives people to do certain things, and how my idea of what is conscientious is different from other people’s, and vice versa. While we might think there is an actual morality, there isn’t. Other people have different concepts of what is right and what is wrong. It’s something that I think is always troubled me a little bit. I use this example in this book, and it’s an obvious one, of some of the choices people made in the Second World War - the Germans for instance. Not necessarily the high command, but every day Germans. What happened in the Nuremberg Trials, some of the issues that came up. Some of the choices Churchill had to make - the bombing of Coventry. And Gamache himself is troubled by a horrific decision he has to make, and, he knows his conscience will haunt him no matter what he chooses for the rest of his life. And I always think that conscience should be fairly clear cut, what’s right and what’s wrong. But the older I get, the more gray zone I find. Oscar Wilde said 'Conscience and cowardliness are the same thing. The only thing that makes us do what is right is the fear of being caught.' And, that’s kind of a cynical viewpoint. I hope that’s not completely true, but I can understand that it’s an interesting discussion. What would we do, and this is one of the questions in the book. What would I do, what would you do, what would any of us do if we knew we wouldn’t be caught. We think of conscience as a good thing, but it can also be a catalyst for evil. Yes! How many abortion clinics are bombed in the name of conscience? How many people are murdered in name of conscience? How many people are strung up? How much strange fruit is hanging from southern trees in the name of conscience? How many justifications have people said, 'Well I did it because my conscience made me do it, I was driven by my conscience'? Conscientious objectors, who I have a lot of time for, but not everybody does. So, we tend to think that conscience is a good thing, but many vile acts, or what I could consider vile acts, have been done in the name of the conscience. How do you find the right mystery to fit these people? (the characters, villagers, in the book)? That’s an interesting question, and it kind of comes back to the issue in this book of the Cobrador, which I’m happy to talk about. I know you’ve been very subtle in this. I tried to tell my publisher don’t talk about the cobrador in any of the publicity or what’s in the back, but it’s in all of the reviews, and at this point I think it would be disingenuous of me not to talk a little bit about it and it really doesn’t give too much away. The story of the Cobrador - I heard 20 years ago, long before I was even writing. But, when I started 'Still Life', I remembered the story and I thought, one day I’m going to use this in a book. Still Life was the first book, 13 years ago. I thought, when the characters get to a certain stage, when I get to a certain stage as a writer, I’m going to use the story of the Cobrador. The Cobrador is a debt collector - he actually exists, he’s in Spain. A friend who worked in Spain told us about this Cobrador de Frac, who followed people around. He followed someone from their home to work, from work to lunch. Would stand outside the restaurant just staring. Never approaching the person. Never saying anything. If someone would approach they would just stand there absolutely mute, with great dignity. Then, they would follow the person home or follow them wherever. And everybody in the community knows what a Cobrador de Frac is. It’s a debt collector. And he is shaming the person into paying an unpaid debt. The cobrador shows up in Three Pines. But the debt he’s collecting isn’t monetary, it’s a moral debt. And everyone in Three Pines thinks he’s there for them. That’s right. But, to your point, which was a really good one, to write that as the first story wouldn’t have the resonance that is has now, 13 books in where we know the characters. So when they each at one stage, they’re all sitting around talking about what they are most ashamed of, that has an impact on us as readers that as a first book, it couldn’t have had. It needed to get the theaters, the themes, me as a writer had to get to a certain stage where I could do the cobrador and the very gnarly issue, the troubling issue of conscience justice. And I hope I have done it justice. This is book 13. How do you keep up your enthusiasm for Ganache, Three Pines and these wonderful people? I have friends I’ve had for 25 years and I have not lost interest for them. I was married to Michael for 22 years. And these are profound relationships, my friends, my husband, my family, my characters. I consider that a profound relationship and I am not anywhere close to losing interest. In fact, just the opposite. They are becoming more and more fascinating. As is Three Pines as a community and as an allegory. I was reminded of Somewhere Over the Rainbow. You don’t know if it exists, but it’s somewhere I wan to go to. That is really cool. I like that. Yes, because there is absolutely intention and was taken with the work of Isabella Inde and Gabriella Garcia Marques, the magical realism of the South American writers. I didn’t want there in any sense to say this is in any way magic or science fiction. Aliens aren’t about to arrive. But there is a Brigadoon-ish quality to them. Or, Oz. That we have slipped into someplace unusual. And Three Pines is described as not on any map. It’s only ever found by people lost. And some people can go into Three Pines and see nothing special and leave. And other people arrive and buy a home and settle down and say this is home. That’s the glory of finding home, isn’t it? The books are about many things, but one of them is genuinely our deep yearning to belong. To find a community of friends. And with that, comes a sense of safety. And safety isn’t that nothing bad will ever happen, it’s that when bad things inevitably happen to us, as they always do in human existence, that we will be able to get over them because of that community because we have those friends in our lives. Goodness comes up as one of the themes. What do you think about goodness when you think of these characters? I think about struggle. I think how hard it is to be good. How much courage it takes to be good. That, it’s so easy to find flaws. It is easy for me to make an enemy. I can guarantee that I will annoy someone. I can’t guarantee they’re going to be my friend. You can’t do anything to force them to be your friend, but you can do something to make them your enemy. It’s so easy to be negative and get a result. To be decent and kind and good, is an act of faith in this world. And, I think that takes so much more character. So much more patience, so much more generosity, so much more strength. Again with these characters, I find it so interesting to see people who are struggling to be good than people who just allow themselves the cynicism. How close are all these characters to you? Well some of them are very close. Some of them actually kind of exist. Some are more inspired by real people than others. I don’t want to be precious about it, but they are things that I have created. They don’t actually exist. But I feel I owe them a debt of gratitude. They have given me a life I thought I would never have. I owe it to them to write great books, to be true to who they are, to be respectful of who they are, to protect them as much as possible. So yeah, I think I’m quite close to them. You’ve discussed this before, that your husband, Michael, was inspiration for Armand Gamache, and they share qualities. What are they? Well, that’s a great question. Integrity. Kindness. Patience. We were like the tortoise and the hare. I was the hare and he was the tortoise. It was very annoying at times for each of us. He was decent, funny, but not in an obvious way. If he was sitting here, he’d be the quietest person in the room, but he would always have a smile on his face. Happy. He knew how to love and be loved, accept love, which not everybody does. He had his faults, of course, as we all do, but his good points outweighed his faults. He shares a lot of that with Gamache, the same qualities. How has Gamache grown through all of these books? The core of the man hasn’t changed. He is still a decent man, a good man. And struggling to be a good man in an environment that’s not always conducive to being good. Because he’s been through the ringer quite a lot. He’s really being challenged. He has at times let himself down. I think there is a more weight about him now. He’s carrying a bit more concern. In the first book, he talks about how one of his mentors described our lives as being like a native longhouse, where everyone we meet, where every act we commit, lives forever in the longhouse. They are not different rooms in the longhouse, they are always visible in the longhouse. And, so we need to be very careful about who we let in our lives, what we say and what we do because it will live with us forever. We can never expel them. And with Gamache, there are now several things existing with him in his longhouse that are fairly haunting. The thing about him too is there is a sense of urgency, also because of his responsibility has gone up. There’s an urgency he didn’t feel initially. It has to obviously be compelling. But I think one of the keys, and I’ll probably think of a hundred others, I think one of the keys is you have to care about the characters. You have to care about finding out about who did it and why. There has to be an emotional resonance to the books. The characters cannot just be cardboard cutouts, being moved around for the sake of a plot device. I think that is what would make a great mystery, is that there are consequences and that you care. Why is it important to support independent book stores and buy a book? It’s vital. When I am in a strange city and I feel lonely or out of sorts, if I feel in any way threatened, and I don’t mean someone is chasing me down, uncomfortable, I will go into an independent book store. The smell of it, the feel of it, I know I am in a safe place. I may not be. But the smell of books, the sense of a book store is vital. I wouldn’t be here today if it wasn’t for independent book stores. Independent book stores aren’t simply putting books in people’s hands, although they do that brilliantly, of course. It’s connecting readers and writers together personally. And that’s vital for both readers and writers. The brick and mortar stores are so important to us as a culture just as museums are. It’s not good enough that art exists in private collections and we see pictures of them online. There’s nothing like standing there in front of the actual work of art. And that’s what an independent book store is, it’s standing in front of an assortment of books and being able to browse.